The Johannes Kolb Archaeological and Public Education project provides a window into the science of archaeology for hundreds of students and volunteers. Heritage Trust archaeologist Sean Taylor's involvement with the discovery of the Kolb site led him into a career with the DNR. 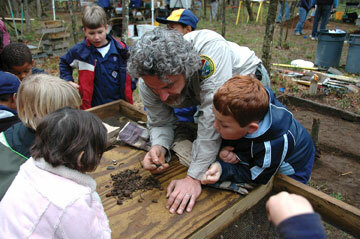 What in the world does archaeology have to do with the S.C. Department of Natural Resources? The question isn't as difficult to answer as you might think. 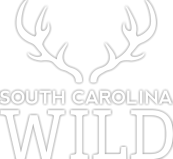 The DNR owns and manages a significant amount of land across our state, and the agency's mission is to protect all of the resources on those properties for the benefit and enjoyment of the citizens of South Carolina. And while we might think of these lands most often in terms of their natural resources - plants, animals and other wildlife - some of their most amazing resources are actually cultural or historical in nature. 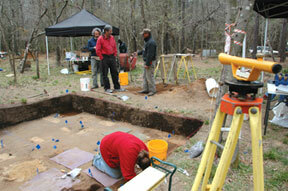 Archaeology has shown us that people have lived in South Carolina for at least 12,000 years. Over the course of time our ancestors left lots of bits and pieces of their lives behind, in every nook and cranny of the state. Many of us have found arrowheads in our rambles through plowed fields or come across the overgrown foundations of houses. These tangible remnants of bygone lives serve as vivid reminders of our collective past, and the archaeological sites maintained by the DNR have much to tell us about that shared history. 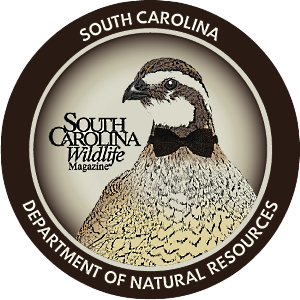 As archaeologist for the DNR's Heritage Trust program, my job revolves around protecting these important cultural resources for the citizens of South Carolina. One of my favorite parts of this job is conducting the annual Johannes Kolb Archaeological and Public Education project, held every March on the Great Pee Dee River Heritage Preserve. 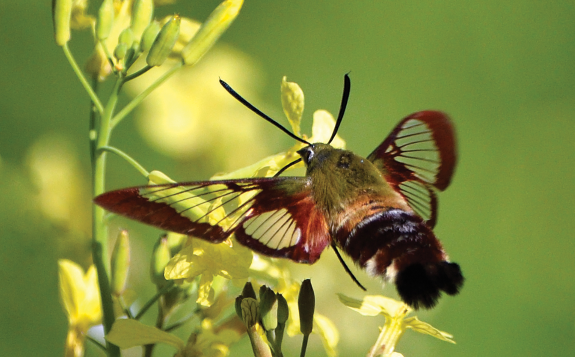 The Kolb project partnership includes the DNR, the University of South Carolina at Lancaster, the Diachronic Research Foundation and a group of local volunteers we like to call the Citizens of the Pee Dee. Without the help of all of these individuals and organizations, the Kolb project would not exist. The roots of the project date back to 1995, when then- Heritage Trust program archaeologist Chris Judge was contacted by a Pee Dee resident named Chip Helms. Helms had an interesting story to tell about a site with numerous artifacts that he had discovered some thirty years prior on a parcel of hunt club property. 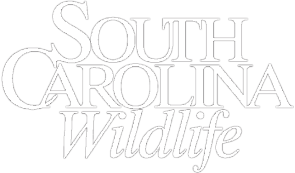 By 1995, the property Helms explored as a young man had become a part of the DNR's Great Pee Dee River Heritage Preserve. Judge teamed up with a colleague, Carl Steen, and the two mobilized a team of archaeological field technicians and students, including myself, for a site visit. We set out for a one-week expedition in August of 1995. 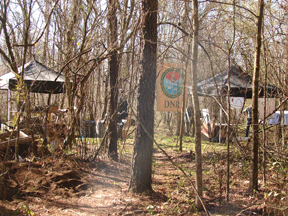 Helms had recorded the site with the South Carolina Institute of Archaeology and Anthropology and worked with State Archaeologist Dr. Robert Stephenson to identify the prehistoric Native American and other artifacts he had found there. These early finds offered tantalizing clues about what else the site might hold. The objective of that first mission was simple: to determine if the site still existed and whether it contained sufficient integrity so that the artifacts and features there could provide solid information for developing an understanding of past lifeways in the Pee Dee. But we actually learned three things that first week. First, August is a rough time to be in the Great Pee Dee Swamp - it was hot, muggy and plenty buggy! Second, to our great excitement, we learned that the site was still there, intact and dense with artifacts that had the potential to tell us a great deal about the history of the Pee Dee. Third, we learned that Helms and his sister's family, Mary Ellen and David Howell, along with numerous other individuals from Darlington, Mechanicsville and Florence were gracious hosts and immensely interested in what the "diggers from Columbia," as we came to be known, were doing in their backyard. From this initial week of work, Judge and Steen developed a research plan designed to answer specific questions about the various peoples who have called the Kolb site home during the past. Excavation is a destructive process, so an approach was developed that would allow us to learn about the site and educate students and the public, while at the same time preserving about eighty-five percent of the site for future research. Questions were basic in the beginning: How big was the site? How deep were artifacts buried? Was there good spatial integrity? What periods of time were represented by the artifacts? That first week answered these and much more. We found that the site covered a sandy knoll of about five acres. Artifacts were buried at least four feet deep, and there was a dense organic "midden" - a deposit of debris, garbage or other by-products of human activity - along the bluff's edge. 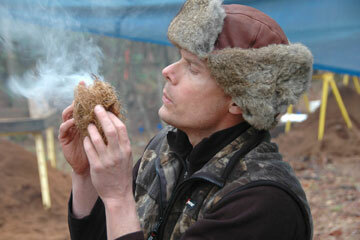 Most exciting, the site contained artifacts dating from the early 20th century all the way back to 12,000 years ago. Because the site exhibited such a great opportunity to learn about the archaeological history of the Pee Dee region, Judge, Steen and Helms decided to initiate an annual two-week field season centered on the University of South Carolina's spring break, so that college students from USC and other schools could have an opportunity to gain some experience in field archaeology. The trio also put the word out to local public schools and throughout surrounding communities, calling for volunteers to help with the excavation and offering educational opportunities for all. Since 1996, the project has run for two weeks every March (which generally has much better weather than August). The middle Saturday is designated as Public Day, with displays of artifacts excavated from the ground, historic reenactments, primitive skills demonstrations, site tours and, of course, opportunities for visitors to get their hands dirty learning what archaeology field work is all about. During the field season, students and volunteers come out to help us dig and screen dirt, label bags, draw maps, and take notes about what, how and where artifacts are coming from the ground. Over the course of the last fourteen years, we have systematically excavated a small percentage of the site, while leaving the majority intact and available to future researchers. Approximately 460 cubic meters have been excavated so far. Over half-a-million artifacts have been recovered, and nearly one thousand cultural features have been identified. 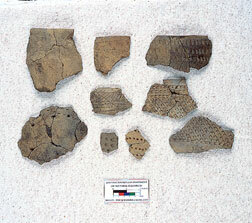 While the cataloging and analysis of artifacts is an ongoing process, we have developed some preliminary findings about what life was like for people living in the Great Pee Dee Swamp over the last 12,000 years. We have recovered many examples of the flakes generated during the manufacture of stone tools - including arrowheads. One thing these flakes tell us is that the site has been a place of education for a very long time. It appears past inhabitants used the Kolb site to pass the tradition of stone tool manufacture, or "flintknapping," down to younger generations. 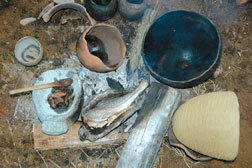 Flintknapping is a specialized skill that takes time to develop, and mistakes are frequent. In teaching myself to make and use stone tools over the last decade, I have learned first-hand what the byproducts of experienced toolmakers look like, compared to those of the inexperienced. In several locations at Kolb we have recovered correctly formed flakes that were clearly made by experienced knappers. These are often found in close association with imperfectly produced flakes we believe were made by individuals with lesser skills. It seems logical to conclude that the close association of these two different types of artifacts is the byproduct of education. Native Americans came to the area to quarry tool-grade stone from the river and turn those rocks into tools, passing the skill on to younger generations while there. Through the years, our work at Kolb has made a big impression on a lot of people across the state. Hundreds attend our Public Day each year, and more come out to work during the field season. The Kolb project has received the Southeastern Archaeological Conference's Public Education Award and the Governor's Award for Archaeological Stewardship. Many of the archaeologists currently working in the profession in South Carolina today, including myself, got their start at Kolb. The project has produced a lot of information, but a vast amount of data has yet to be analyzed, and volumes of history remain to be written. 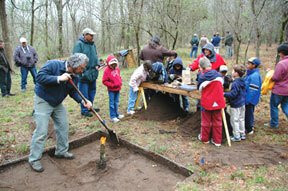 The 2010 field season will be March 8 through 19, and Public Day will be held on Saturday, March 13. If getting your hands dirty and being an archaeologist for a day, a week or maybe longer sounds like your idea of fun, we would love to have you. Project benefactor Chip Helms first recorded the Kolb site and other sites on the preserve in 1975 and has been one of the driving forces behind the project's success. Helms would like to thank his parents for their role in nurturing his love of the land and its history. Additional information about the site and the Kolb project can be found on the Internet at 38da75.com. Or contact Sean Taylor at TaylorS@dnr.sc.gov or (803) 734-3753.